In the last quarter that just passed, our internal affiliate marketing experiments with micro niche sites made more than $2, 000 simply in passive income. Sure, you might scoff and say ‘$2,000? That’s nothing!’ While we agree in the broad term of things, there is a major difference. We achieved more than $2,000 worth of our income from passive advertising, and not selling one thing. The main focus of this article is that you don’t have to be so aggressive or advertise immensely to make some good money through your blogs. If we used Google Adsense, had more advertisements available in our micro niche website’s sidebar, or offered text link ads instead of images, we could have earned A LOT more. That’s a wrong assumption that everyone has. The point of running a blog is to share knowledge or content with people; excellent content. If you have great stuff on your website/blog and people like it, they will come back frequently to see what you have to offer. The content is what excites people and makes them want to come back. Eventually they will be so eager to get onto your blogs that they will be a constant source of income to you. The problem with chocking up your space full of ads is that it gives your viewer the completely wrong (or right) impression of your blog. Basically, it tells them ‘click here so I can make money’ not ‘enjoy and then support me’. Transactions and purchases are the first thing to fall on a blog with lots of promotion, as you will have a hard time earning your readers’ trust; I know I personally don’t trust horribly full, advertised blogs. If you meet someone, shake their hand, introduce yourselves, and then the other person immediately tries to sell you something, you’re definitely going to avoid that person. We believe in the cold, hard fact that if you haven’t used a product or service, then you shouldn’t be reviewing it, let alone promoting it! Across all of our micro niche blogs and platforms, we stuck to one true method and that is promoting only the goods and services our team members would use, or which were recommend by friends. If you have an audience (and a large one at that) you will have a certain responsibility to speak the truth, as one slip could cost your reputation. For example, if you are into Blogging niche, you can promote some very good universally popular products like Aweber (for email marketing) or , SEMRush (SEO tool), BlueHost (for website hosting) etc. Simply placing a bunch of banner ads and links are not going to get you very many referrals and commissions. First off, the audience has no idea what it is and will usually just avoid it, and secondly, you’re wasting all this space where you could be describing what the actual product or service is. This way, your viewers will feel a little more inclined to click on through. Your content is what will eventually sell your affiliate products to customers. While you already have some descriptions for your links and affiliate products, your content is the main piece that will drive traffic to spend money. Write content for you and them, not for your links. This is a fantastic opportunity to add your experience or a (VERY) small review into your affiliate link description. We have used Ebooks in the past that assisted in our revenue to increase 4 times than what it was earlier. We then promoted it with a little review and a few infographics/snapshots of how the ebook helped us achieve increased conversions. The rest, as they say, is history. If you don’t stick to a certain company in relation to the same products, your testimony will mean jack squat in the long run. Who’s going to listen to someone who bounces around recommending different companies every month? I wouldn’t. Customers will have a hard time deciding which option to go for, and will ultimately purchase nothing in the end. Think about times you went online and had the same experience. Your head just hurts so you leave immediately, right? Promoting the same, exact products will enable you to gain a reputation as a serious affiliate marketer. People will realize the fact that you promote the same product time and time again so there must be something really special about it. Many visitors will think the same thing and your purchases will increase in long term. A simple notion but one that is constantly overlooked in hopes of securing more volume sales over price. In reality, you need to ditch the products that aren’t selling well and only focus your time on products that are actually worth the time and effort. The only way to figure this one out however, is to actually learn through your experiences. We had so many banner ads on our micro niche blogs that were taking up a lot of space but weren’t actually netting us much, so we got rid of them and used the space to promote 2 products. We ended up making more in a month than we did in a year with the banners. How to choose best affiliate products to promote? To really take advantage of your website/blog, you need to have a separate page that is reserved for any learning tools or resources that will assist your readers. Using this page, you can list a number of affiliate links to other products and services, without seeming like a sell out. Use the page to review a few products that you have used and are promoting. An example of this is the ‘Resources we use‘ section of this blog which allows us to promote the resources we recommend and make some money in doing so. We retain our honest reputation and those consumers who end up purchasing the products are happy too. It’s a win-win. Can Affiliate Marketing Be Used As Passive Income? If you think about it, the simple pay per click ad programs most people utilize, while being good money makers, cannot be considered passive due to their daily analytics requirements and constant data collection. 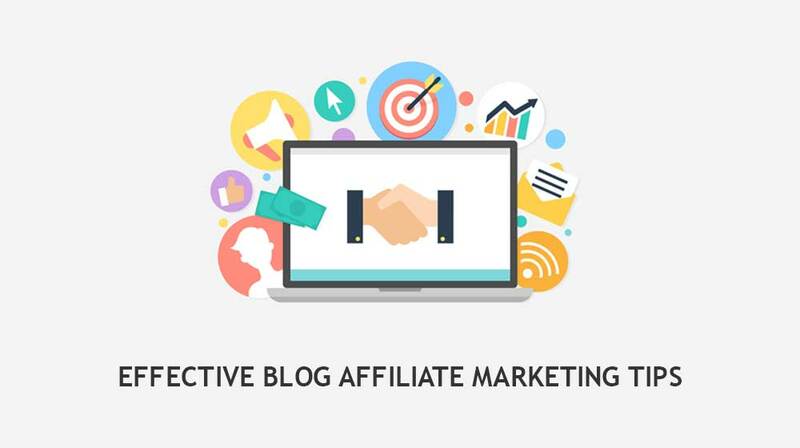 However, if you have a blog and follow the above steps, affiliate marketing can become a very passive income. Remember that everything you post and link to sell will be online for decades (if the sites are still up) and any embedded posts will also help to score that passive income you so desperately want. Hopefully, the above affiliate marketing tips will help you answer the evergreen question – How to make money with affiliate marketing? You are a big help to me. I just made my blog and started doing affiliate marketing however I am struggling on the next step. I don’t know how will make people buy through my blog. It’s frustrating you know. What you said lifted up my spirit and I wish I can see sales next month or so. Cheers! Awesome tips for affiliate marketing..